2. 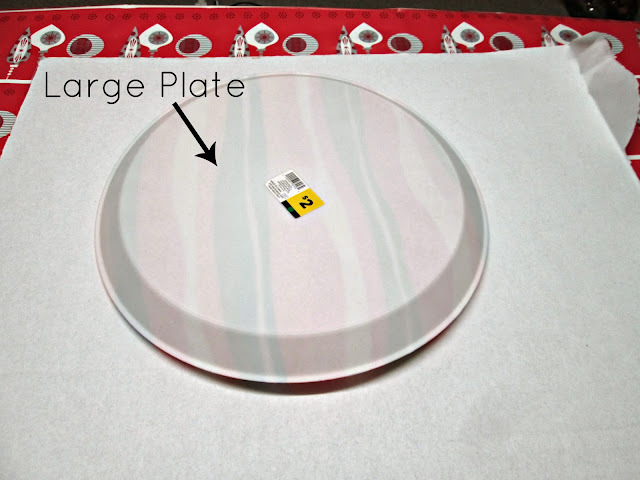 A LARGE OR SMALL PLATE DEPENDING ON HOW BIG YOU'D LIKE YOUR WREATH. 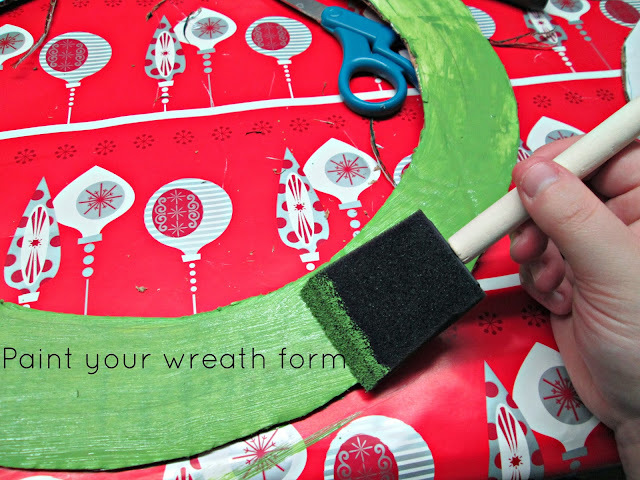 YOU WILL ALSO NEED A SMALL PLATE FOR THE CENTER OF THE WREATH. 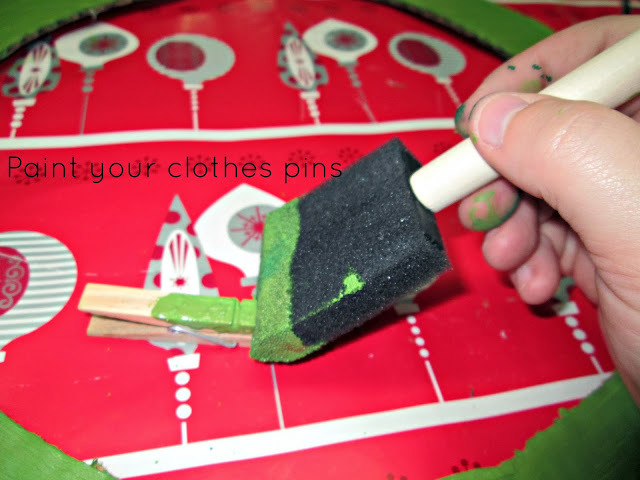 STEP 1: Make sure that you have something underneath your wreath so that you won't get mess everywhere when you paint. STEP 2: Bring all of your supplies to the table, and let's get started. 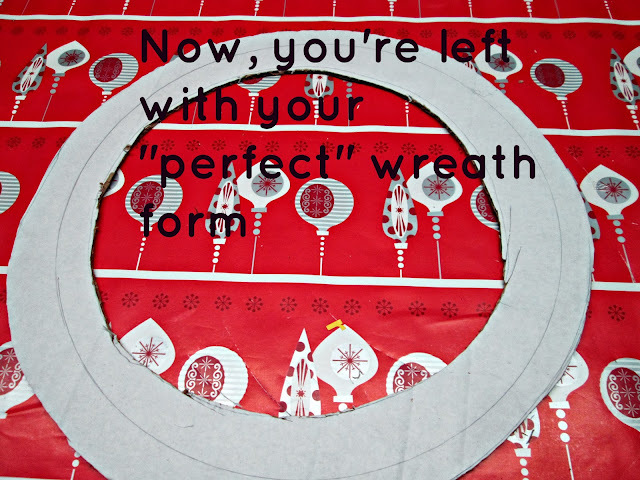 STEP 3: Lay your plate on your cardboard and trace around the plate to get the perfect circle for your wreath unless you have bought yourself a wreath form. 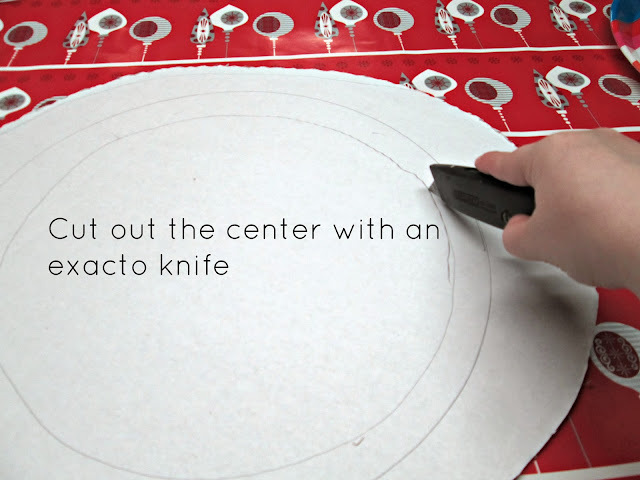 Use either your scissors or your exacto knife to cut out what you have just traced. 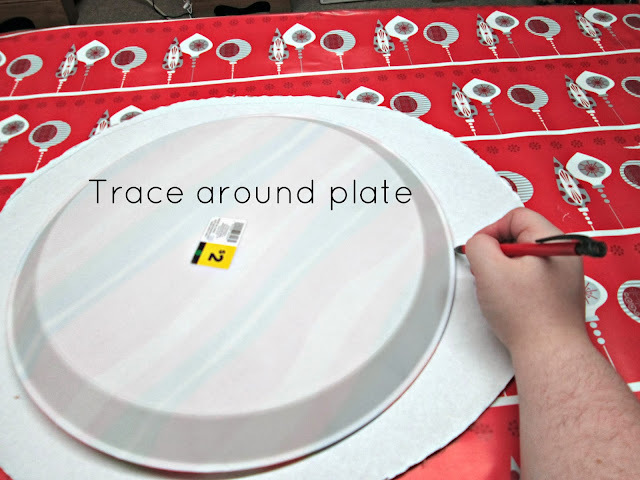 After you've traced your large plate and cut that out, lay your small plate in the center of that circle that you just cut out. Trace around it. 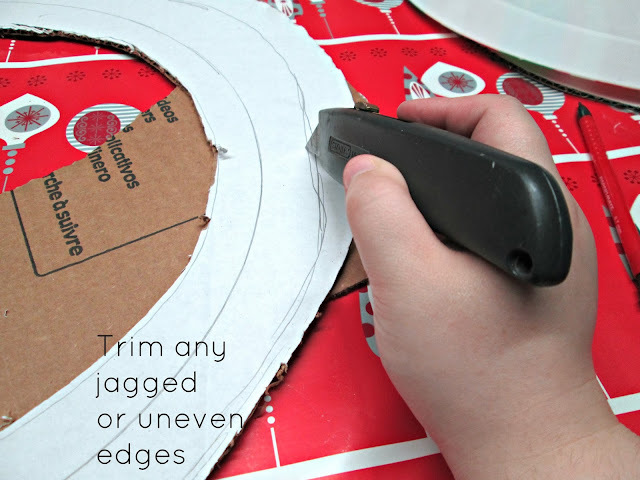 Then, use your exacto knife to cut what you have just traced in the center. You should now have your wreath. *When I did this, I had to go back and cut around the edges because it would be jagged. 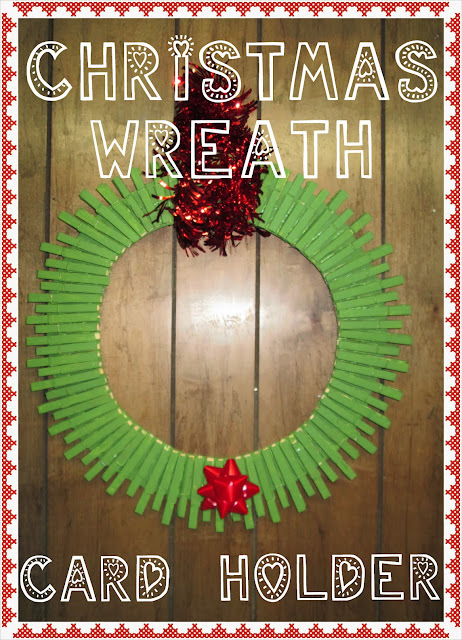 * Cut as much as you need to for your wreath to look right. 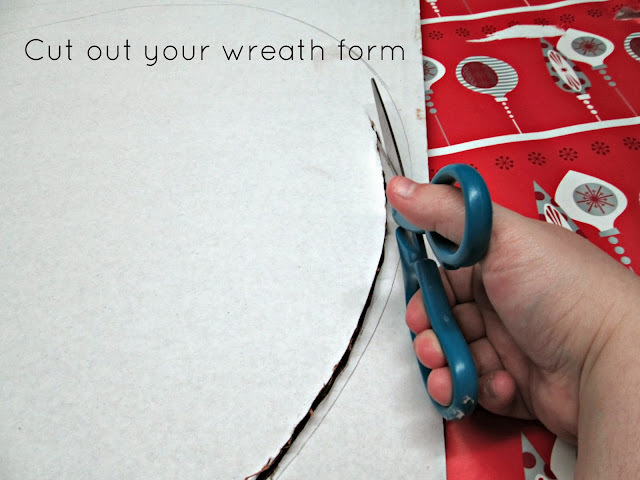 If you have bought a wreath form instead of making one, skip this step. 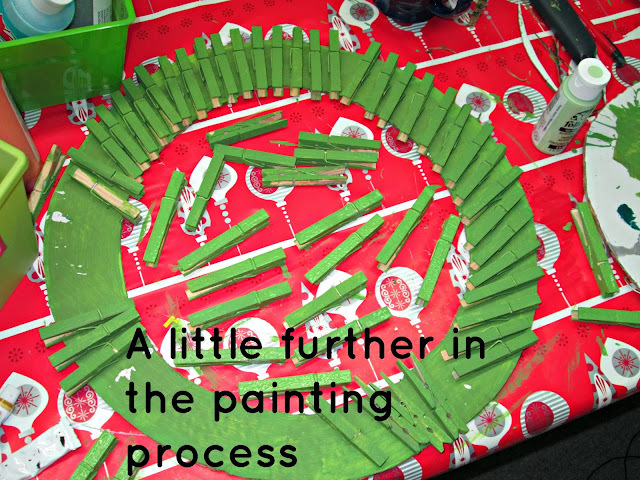 STEP 5: Now it is time to paint all of those clothes pins green. You can either paint this with a sponge brush like I did, or just spray paint those babies! Spray paint really is a LOT faster, but like I said, I didn't want to spend a dime on this project. I didn't have any green spray paint on hand. 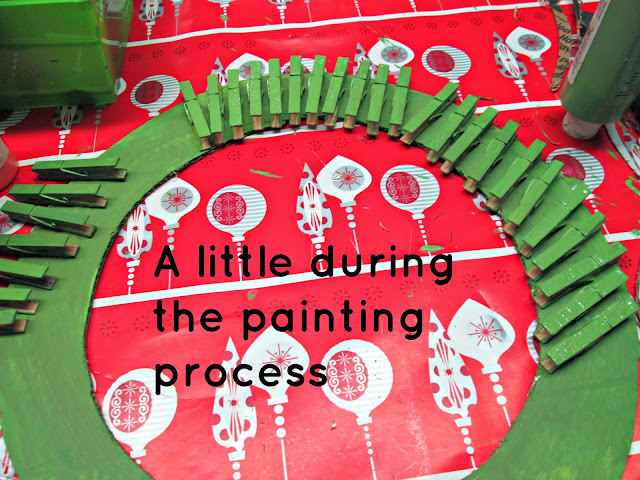 If I did, you best bet that I would have done that instead of hand painting every single clothes pin green. STEP 6: After you have let the paint dry, (if it isn't spray paint) it's time to plug your hot glue gun in, and glue those clothes pins on your wreath form. 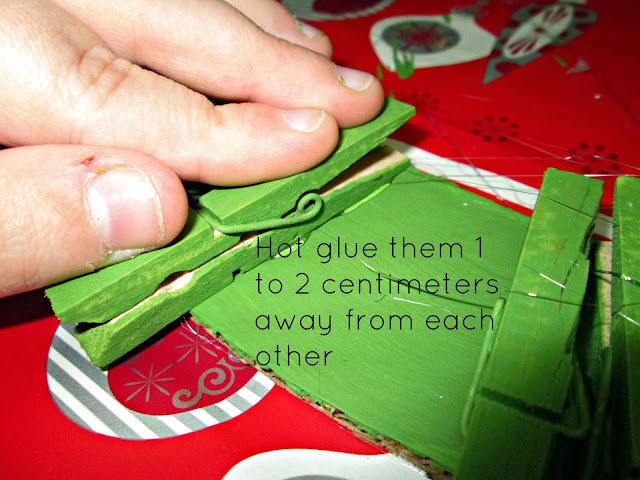 You will want to glue them pretty close together. I left maybe a centimeter or two spaces between each clothes pin. 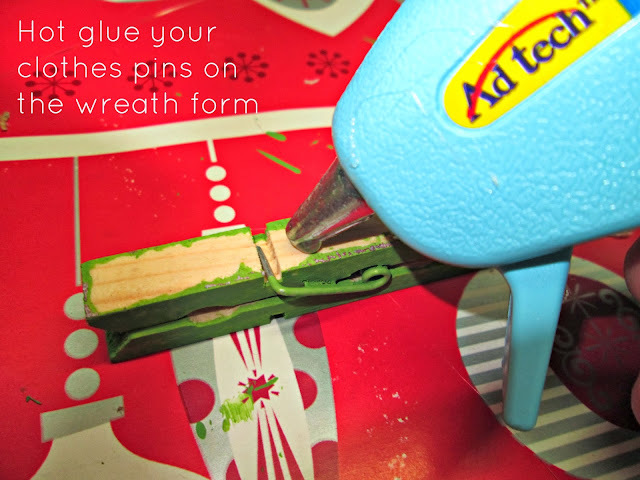 STEP 7: After you have glued your clothes pins on your wreath, wrap your ribbon or tinsel around the wreath at the top. 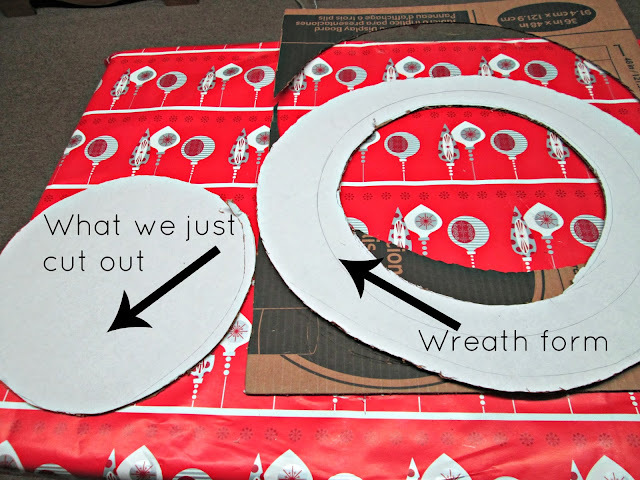 This is how you will be able to hang your wreath on your wall. 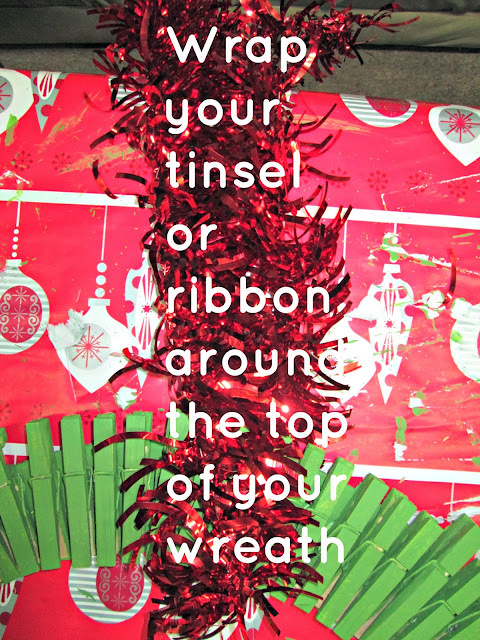 I just used tinsel because I had just got some at the Dollar Tree and it was quick and available. All I did was just wrap the tinsel a couple of times around the wreath and knot it. I then stuck in on a tack on my wall. 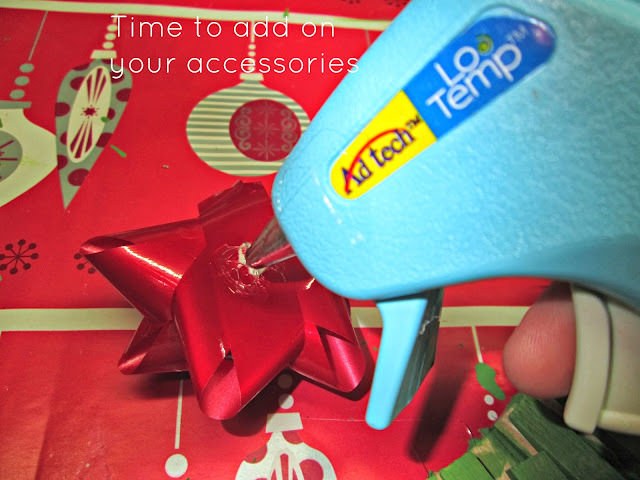 STEP 8: Now you can hot glue your bows, ornaments, or doodads on your wreath for decoration. 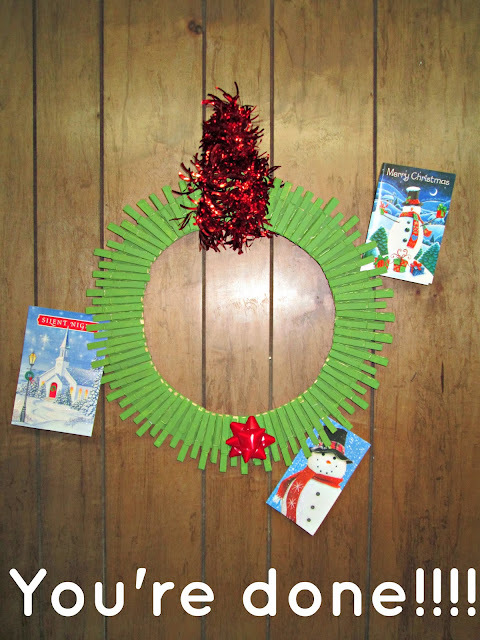 STEP 9: Put your Christmas Wreath Card Holder on your wall and stick any Christmas cards that you may receive in it. 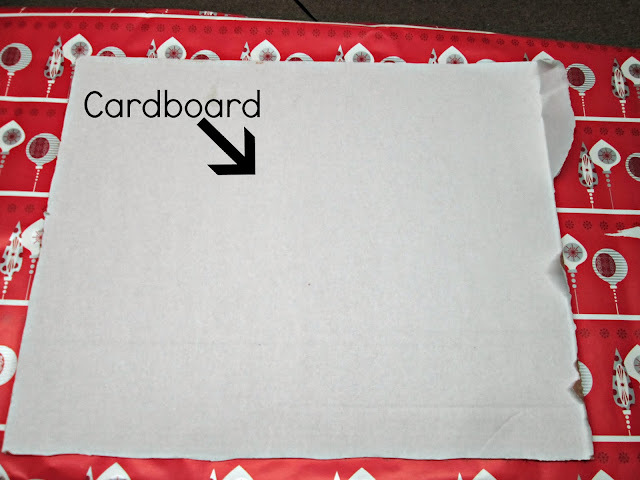 STEP 10: Stand back and be amazed, proud, and accomplished at this awesome D.I.Y that you have just made!